Birmingham wins federal TIGER grant to aid rebuilding in Pratt City, make other improvements | al.com: BIRMINGHAM, Alabama -- Birmingham learned Tuesday that it has landed $10 million in federal grant money to rebuild storm-damaged roads in Pratt City and improve connections in the city and with regional neighbors through work on sidewalks and bike lanes and trails. The money comes through a fiercely competitive grant program, known as TIGER. 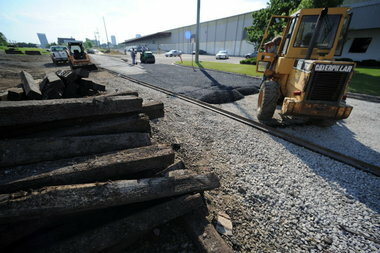 Pictured above is one link that was part of the proposal: a pedestrian and bicycle connection between Railroad Park and Sloss Furnaces along First Avenue South. The original application included $23 million in requests. It is unclear which projects will be paid for with the $10 million.